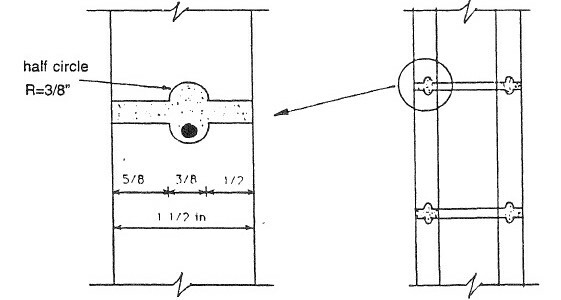 The ” Theory” concrete block sysmte utilizes recessed channels in the face shells and webs of the units to provide mechanical interlocking at the unit-mortar interfaces and to accommodate horizontal reinforcement. This new system with the reinforcing rods provides an attractive alternative to the conventional concrete blocks with has horizontal steel in bond beams. Examining the interlocking mechanism that is provided by the mortar in the recesses is of significant particularly when the shear of flexural capacity is controlled by the joint slip or tension debonding. A test program was conducted at Drexel University to determine the compressive and shear strength of the “Theory” concrete block System and, and to compare its shear strength with the conventional system. This experimental program contains testing of theory units, prisms for axial compression, and square panels built with theory and conventional blocks for diagonal tension (shear strength). 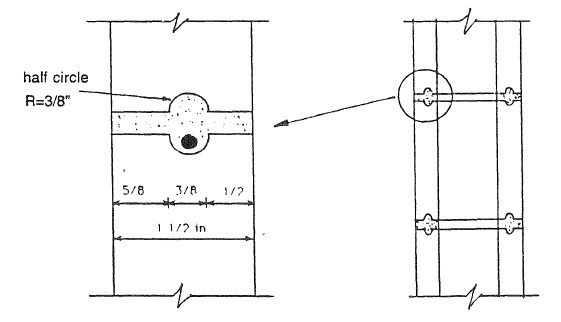 It was concluded that the “Theory” block system has adequate compression and shear strengths that are equal to or exceed those of masonry built with conventional units.